Pakistan’s only world cup winner skipper Imran Khan is currently the Chairman of Pakistan Tehreek-e-Insaf. He is one of the greatest all-rounder in cricket history. In his career played 88 Test match and scored 3807 runs with bat and took 362 wickets in ball. And in ODI cricket he have 3709 runs and 182 wickets in 175 matches. Currently Zinedine Zidane is the manager of Real Madrid and this Muslim footballer was born at France and played football in his pro career from France. Zidane played 506 matches and scored 95 goals in his club career and from National team played 108 matches and scored 31 goals. Also give leading France only world cup title on 1998 and move into the final on 2006. He is also the winner as team and as skipper at 2000 France’s Euro winning. Another Pakistani on the list and another cricketer is the most World Cup cricket playing player with Sachin Tendulkar, he is Javed Miandad. This player played 21 years in this pro career from Pakistan and become the leading run scorer with 8832 runs in 124 matches have also 7381 runs in his 233 ODI with 41.70 averages. Mike Tyson is the youngest title holder in boxing history of WBC, WBA and IBF. 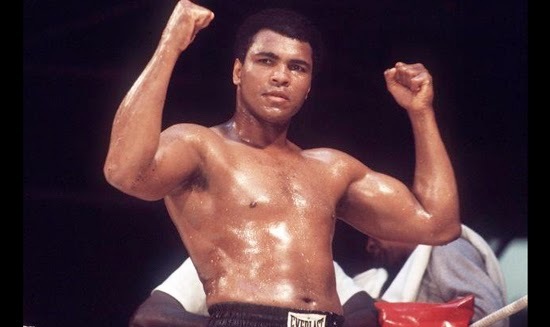 He was won world heavyweight titles at the age of 20 years and 4 months and. He was won his first 19 games with knockouts and he is the oldest heavyweight WBC title winner at 42 years old as well. This former NBA basketball player have 4 NBA Championship title and was the 15 times NBA all-stars in his 19 years NBA career. Shaquille is the World Championship Gold medal title winner as a part of team Canada andOlympic 1996 gold title winner as team. Bernard Hopkins is the oldest heavyweight champion and in his boxing career had played 66 games and won 55 matches with 32 KO.Hopkins is the 9 times WBA winner so far. Another Pakistani on the top 10, is the world greatest squash player Jahangir Khan. He was played quash 10 years in his career and won 6 World Open title and all are in a row. Currently he is elected as the 7th World Squash Federation champion. This Russian in 10th on the list and the only tennis player have won 2 grand slam singles, first was in 2000 at US Open and his last title was comes at 2005 on Australian Open. His career record in wins 422 matches and lost 267 matches. Safin was the former world no. 1 and his best rank was come at 22 April, 2000.